Our team is happy to announce that bCisive is now available offline! Our belief is that bCisive should be available to you wherever, and whenever inspiration strikes. Whether you are at your desk at work, at home, or on your laptop in a lecture hall, we believe you should always have access to your maps in bCisive. With bCisive's offline capabilities, you can now design your maps while you are disconnected to the internet. (Some features, such as exporting rendered maps, are currently only available online.) Once your computer comes back online, we will sync all your maps with your account on our server. Offline mode makes heavy use of advanced features in HTML5 to further blur the distinction between desktop and browser-based software, bringing you the best of both worlds. 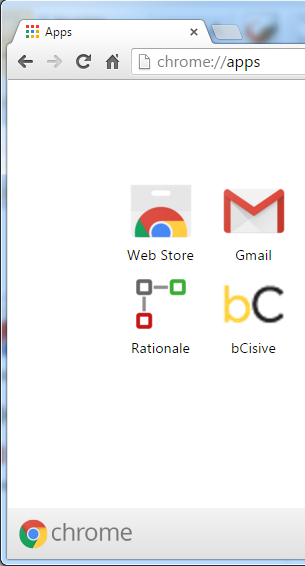 The best way to get started with bCisive offline is to first install it via Google's Chrome Web store: https://chrome.google.com/webstore/detail/jmhgfnfammpiaekfemehiacidkjobkml. Once installed, you can access bCisive directly from the apps tab in your Chrome browser. When you use a different browser just load the editor once while you are online and bookmark it. Offline use has been one of our top requested features, and we are proud to be able to bring this capability to our users. If you experience any issues, please report on our forums.